As always I keep my art studio open for Christmas shopping in December. 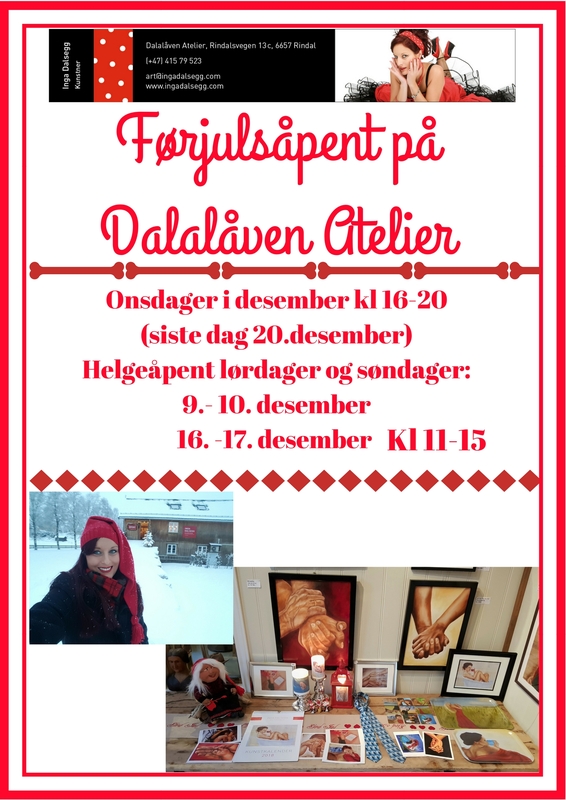 Here at Dalalåven Art Studio you can find something for everyone, from cheap art cards to expensive oil paintings. if you are looking for a present for someone who has everything you have come to the right place! I sell art candles, coasters and trays with my paintings on them, but also art ties. If you can’t afford a painting, what about a framed art card? Or the art calendar for 2018? The barn door is wide open and the open sign is up whenever I’m here working, so naturally, you are also welcome at other days and times, no matter what month it is! WELCOME!